How to require a backlink? InLinkz link parties can help you build your incoming links by requiring backlinks from your entants to your blog. Through the required backlinks feature, you can force your readers to add a direct link that points from their site to yours. This backlink acts as a good referral from other blogs so it is beneficial to your pagerank. 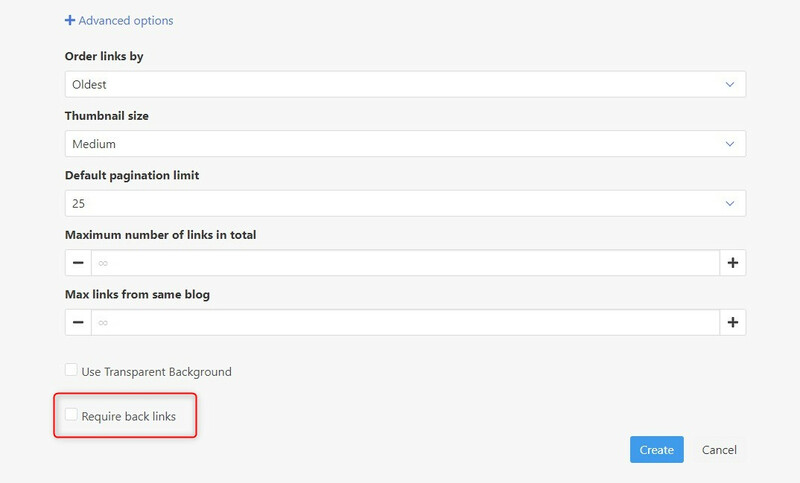 To require a backlink, click to expand the +Advanced options, while creating or editing a link party. Enable the "Require back links" option. Once you enable it, the blog(s) you want your readers to point to will be displayed. 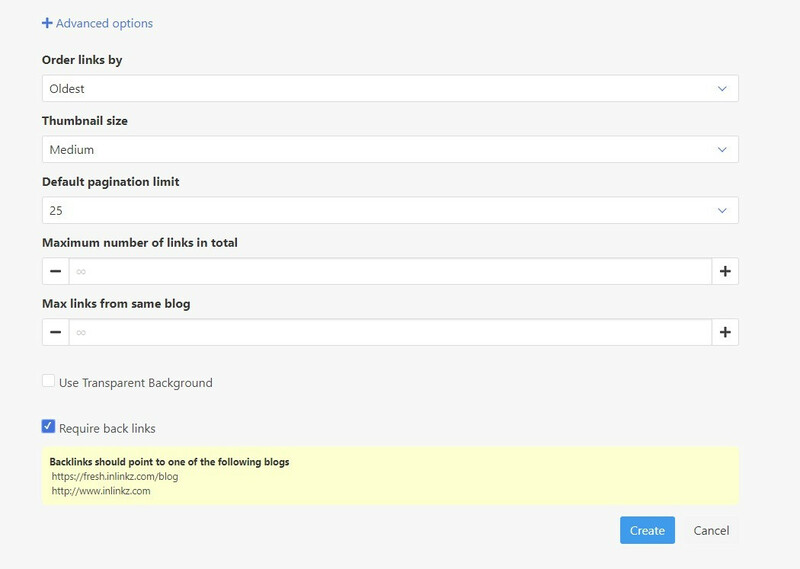 You can set or change your blogs from your Settings > My Blogs. When entrants submit links that Inlinkz is unable to verify their backlinks, the system will still add them to the collection but they will not be displayed on hosts' blog, until they moredate them. The hosts will receive an email about the pending for moderation links and as soon as they approve them from their dashboard > Manage links, the links will be displayed in their collection. Why some new submitted links are hidden from my link party collection? the link won't be displayed in your collection, until you moderate it. Once you approve that link, it will be displayed normally in your party. If you reject it, it will be deleted from your collection permanently.